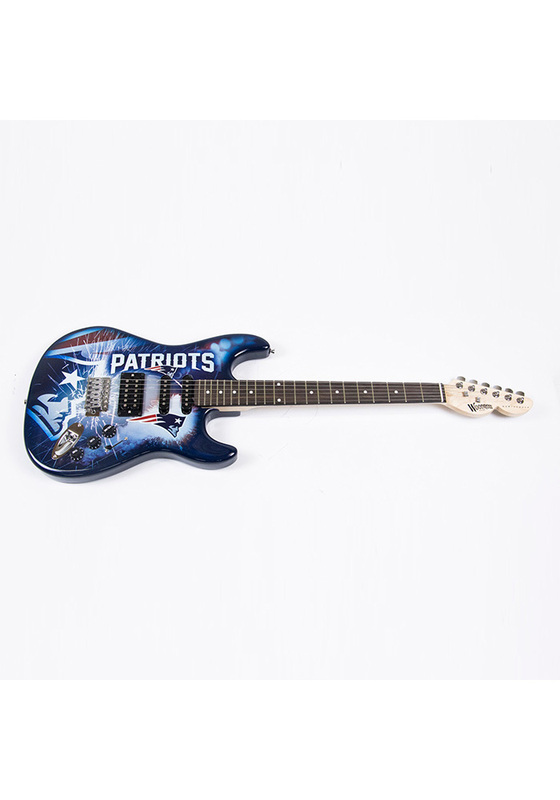 Start a garage band with this New England Patriots Northender Collectible Guitar. This full-size electric guitar features limited edition custom body artwork on a solid wood body. Includes whammy bar, guitar stand, and black gig bag. Individually numbered on engraved metal plates in a limited edition series. This professionally crafted Woodrow guitar is a highly collectible, limited edition work of art. Whether you have a big gig, or just want to show your friends that you’re a die-hard collector and fan, think Woodrow. Woodrow branded guitar bag and stand included.